WAYFINDER™ Banners are customized to your exact specifications (size and color). We use our proprietary high-quality film to make our banners reflective and visible from more than 400ft. When emergencies occur at schools, first responders are tasked with locating students and staff stuck in classrooms. Our WAYFINDER™ school safety system provides the location of those rooms by displaying the room number to the exterior of the school. We work closely with local police departments, fire departments, and emergency medical services to ensure our banners work with the school's safety plan. WAYFINDER™ Banners are guaranteed to increase the efficiency of any emergency response. 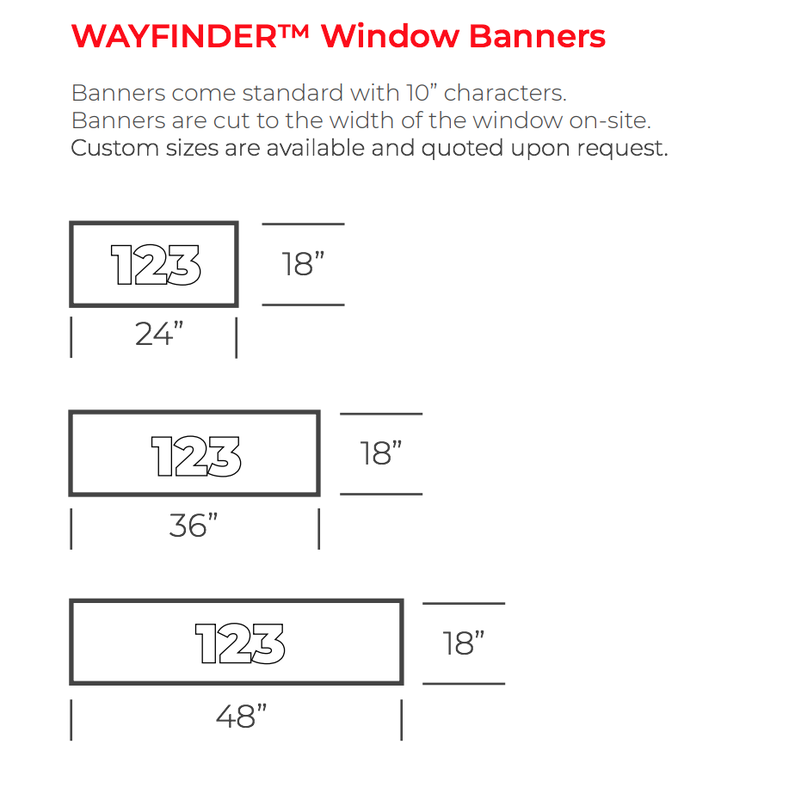 WAYFINDER™ Window Banners are a stylish wayfinding option. They create a modern look and make a great addition to any renovation project. We use a high-quality proprietary film to block a portion or the entirety of the window. This option also increases privacy on ground-floor windows. All WAYFINDER™ products come with a 10 year rating and are made to last a lifetime. WAYFINDER™ is a permanent solution; tamper-proof, interior mounted, 400 foot visibility, highly affordable, and easy to install.